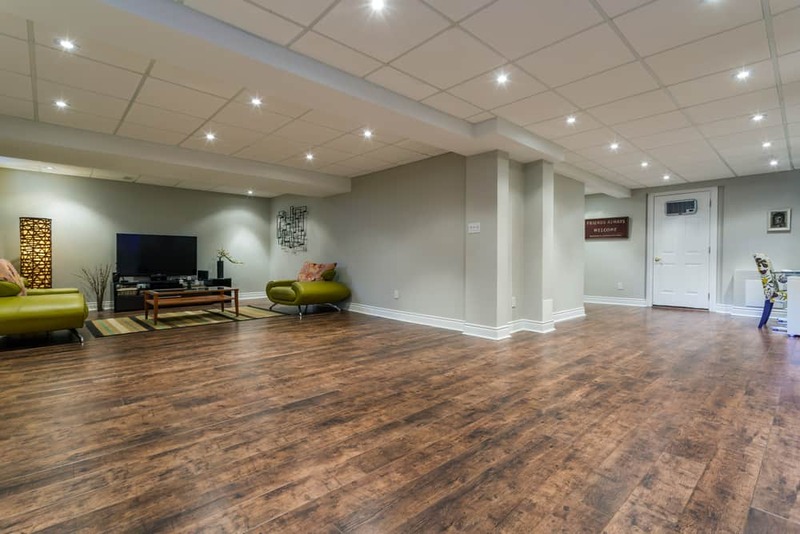 Get the best look you possibly can with the best flooring for basement rooms in your home and see how it improves your home. 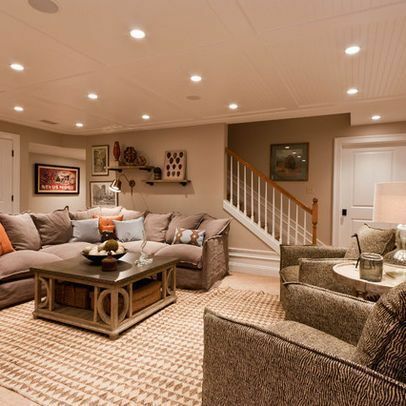 The basement of your home isn’t always the easiest room to decorate. After all, it depends on a lot of different features what you can even do with it. 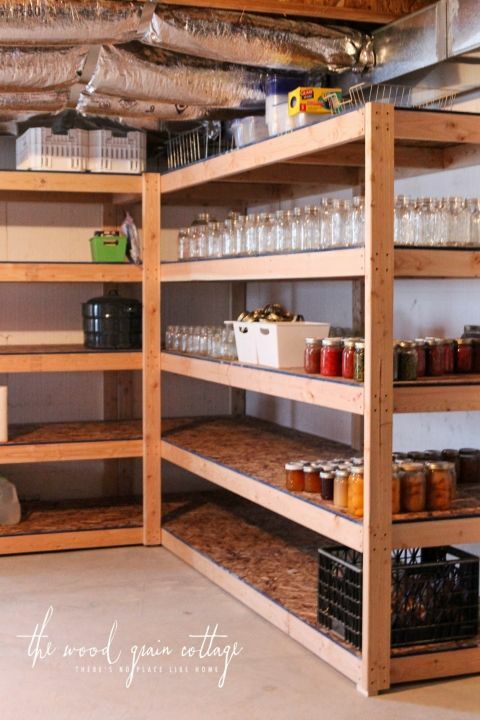 If your basement is finished you have a whole lot more room for what you want. If it’s not … well, it can be difficult to keep things looking nice. So what do you do? 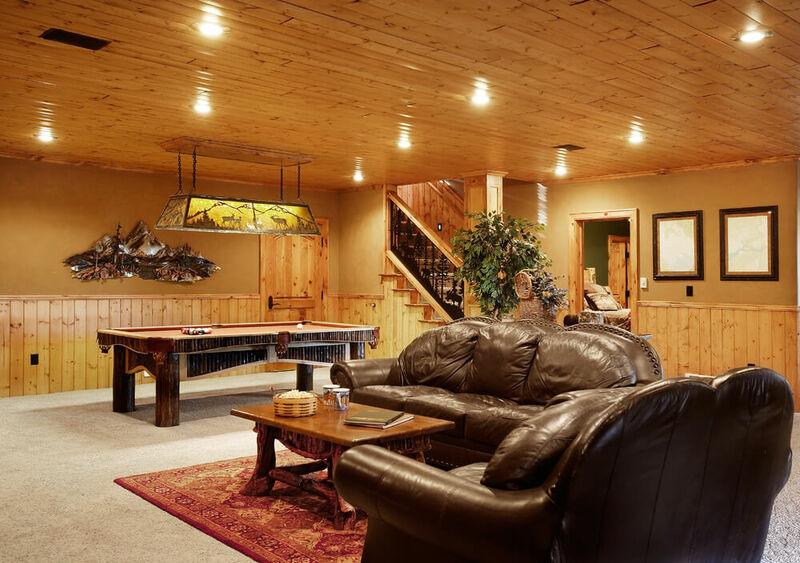 Well, you need to look at the many different options and decide on the best flooring for basement rooms. 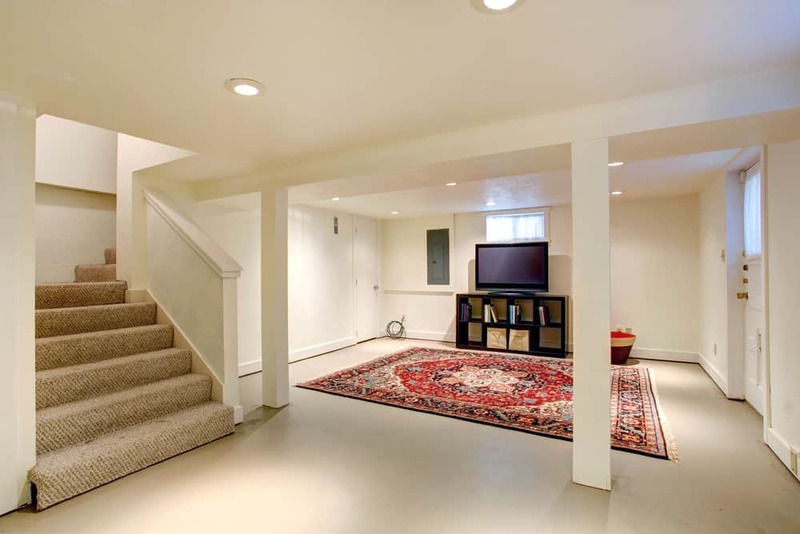 The best flooring is going to depend on the type of basement that you have. 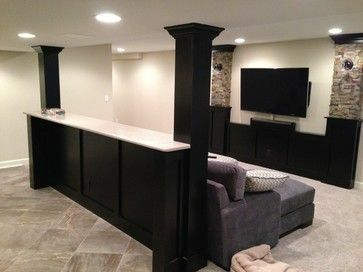 Finished basements are generally sealed a little bit more than a simple slab or unfinished basement. You can put carpeting or other materials down because the walls are more protected from moisture. 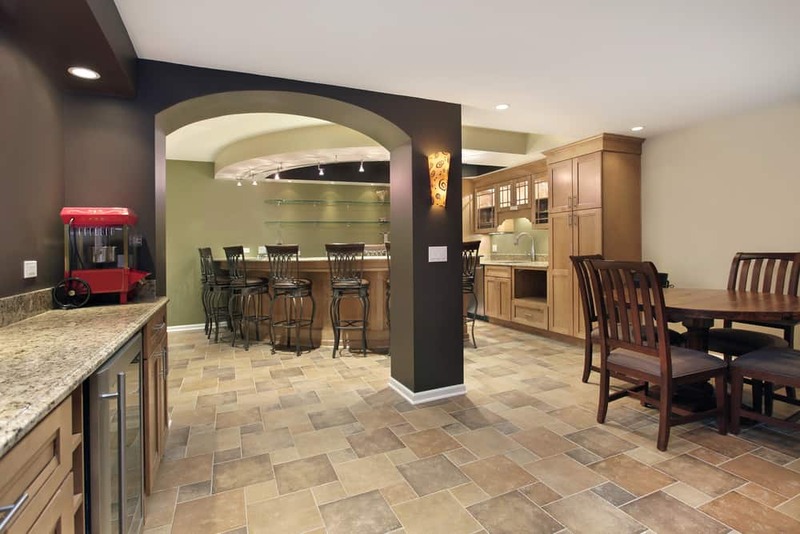 If your basement isn’t finished you may want to be careful about flooring types. You don’t want them to get mold under them or get too damp. 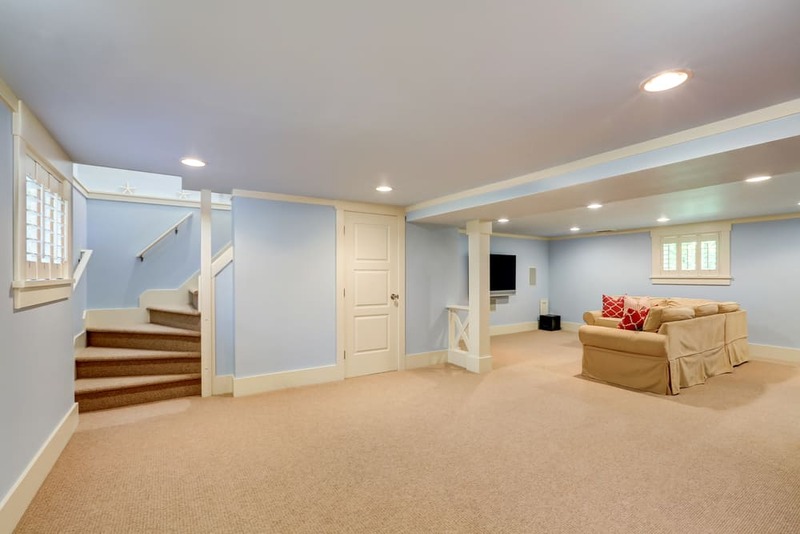 If you’re going to be using the basement as a playroom or a gathering area or game room you may want to look at carpeting. 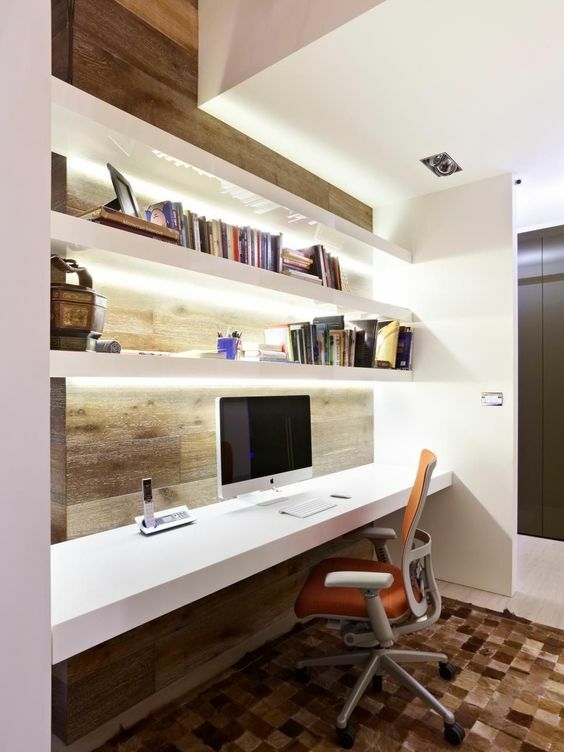 This makes the room more comfortable and helps it feel like an extension of your home. 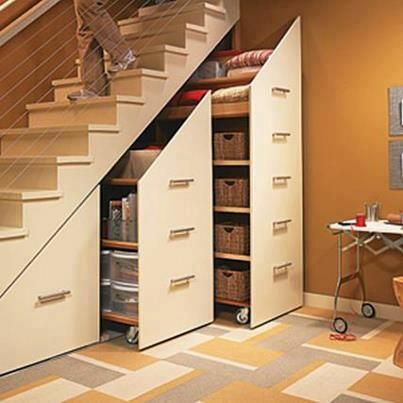 If you’re using it as storage space you may want to look more at hard floors. This doesn’t mean wood (though in a well finished basement you could choose that). It means solid floors like linoleum or tiles. These can be more durable for moving things around or keeping water or moisture moving. 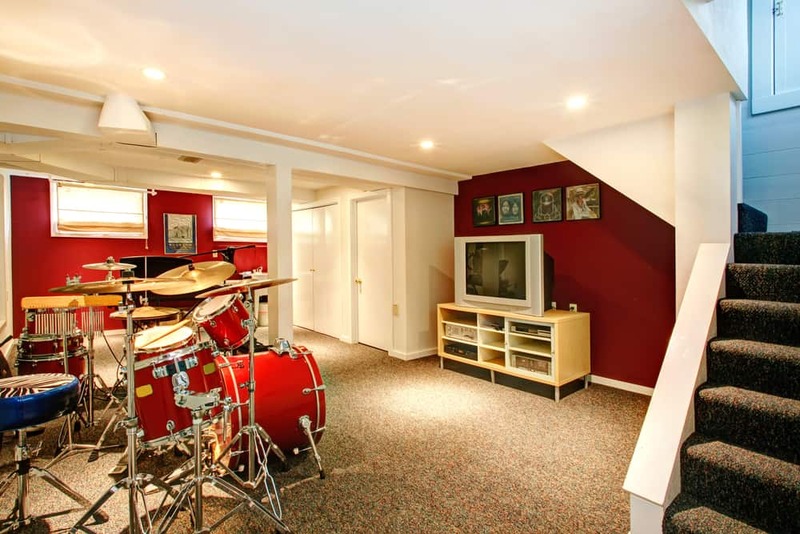 So what’s the cost associated with the best flooring for basement rooms? Well, it’s going to depend on what you decide to put down. If you put down carpet you could be looking at anywhere from $4 to $12 per square foot. This is going to depend on the type of carpet you put down and who you have put the carpet in. If you’re looking at vinyl or linoleum flooring you’re looking at cheaper prices. These usually cost around $2 to $7 per square foot. That means you can save a little money and it works for storage or even for using the basement as a bar or game room area. It’s entirely up to you how much money you want to put into flooring. There are actually plenty of different flooring options and you should look at all of them before you make a decision. Even if you decide on one material or the other you still won’t necessarily know which style or patterns you want. That’s why we decided to take some of the guesswork out of it for you. We’ll help you figure out some of the options that are out there with some pictures. Take a look at the options we’ve found and see if anything looks really good to you. You might be surprised how many different choices there really are even when you’re putting that flooring in the basement of your house. Carpeting is one of the most popular ways to finish off any room because it’s a lot more comfortable. Even in your basement you can use carpet if you’re careful about getting stainproof and moisture proof. 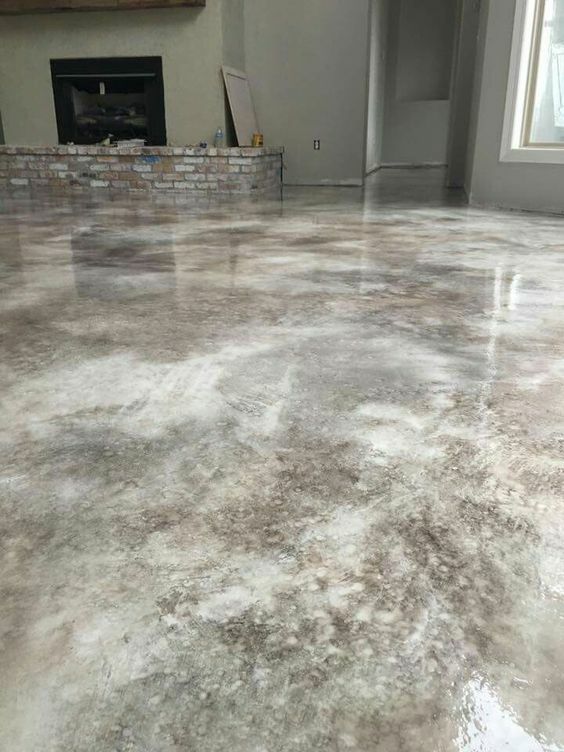 This floor is actually solid and completely smooth. Some type of tile or linoleum can be a great option because it does keep the area smooth and you can dress it up with rugs or anything you like. This room actually has some really nice tiles. It lends a very formal and fancy feel to a room that’s usually going to be a little less. This room features some really unique wood floors with a rustic appearance. This really helps make the room look special and unique but still functional. This room has a solid floor with a large rug that takes up most of the space. It provides a more stable and versatile floor but also has the comfort factor as well. This room actually has the standard concrete that is already forming the base of your basement. For some people nothing else is needed because this is durable and looks good enough. 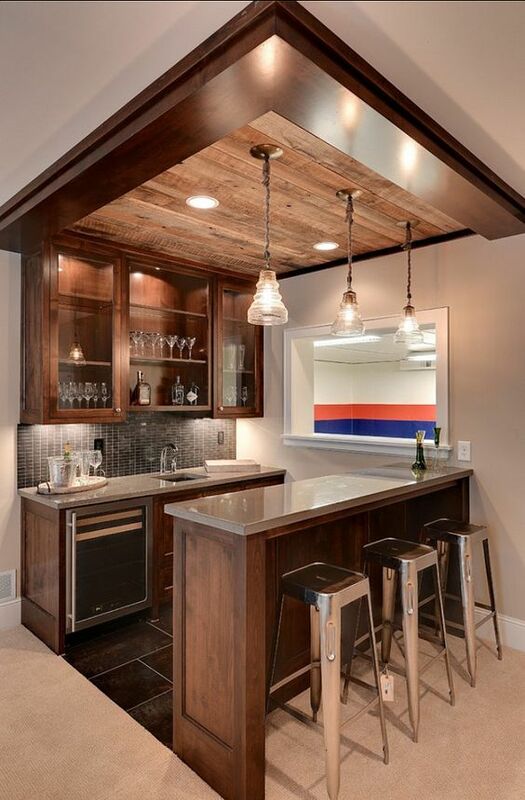 The carpet in this basement pairs well with the dark tiles in the small bar area. 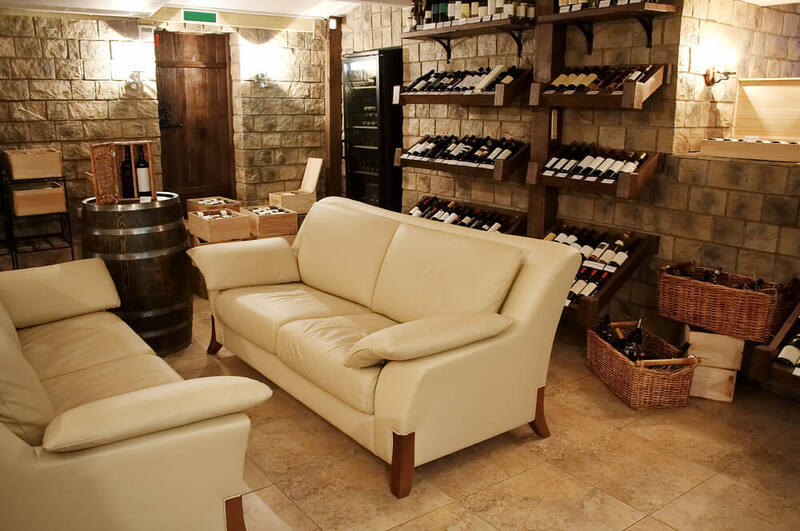 They seem to compliment each other and create functional areas of the basement. This room combines carpeting with tile as well but the tile here is definitely a nicer and more formal style. It looks a lot like stone and definitely has a great feel to it. This carpet has a unique pattern and it’s definitely fun. You get something that’s colorful and bright to help bring life to a somewhat depressing area of the house. 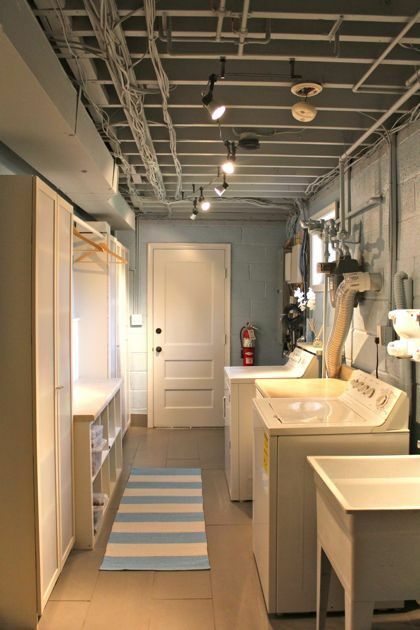 This basement has the traditional cement floors but they’ve been acid washed to give a slightly different look. It makes the floors shiny but also a little more tie-dye in appearance. This room has wood style floors with a large rug to accent things and give a comfortable vibe. it’s also a bright and fun rug that really does liven up the room. This room has oversized wood style tiles. They’re made with a laminate or vinyl instead of being real wood but they have the appearance of wood planks for fun. These mats are great for anywhere you’ll be working a lot or kids will be playing because they’re super absorbent. They help relieve a lot of the stress of standing on cement for an extended period if you’re working or doing anything else in the space as your own little cave.